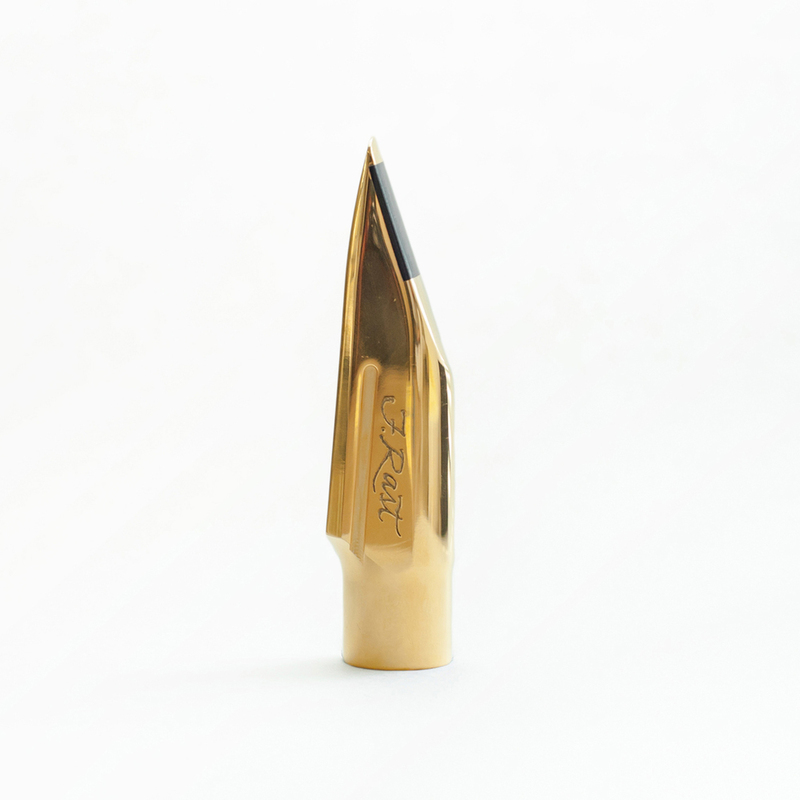 The Fred Rast Tenor saxophone mouthpiece is a solid brass, CNC-machined, gold or silver-plated, hand-finished mouthpiece that produces a big, rich, dark and warm sound with great projection. These mouthpieces were conceived while creating a hard rubber mouthpiece with the exact sound and feel Fred Rast wanted, then digitally modeled and reproduced in solid brass. Each piece is hand-finished and "voiced" through adjusting baffle height and facing to produce a free-blowing, large chamber mouthpiece. The mouthpiece features a silver slide on ligature (similar to Lawton mouthpieces), to allow for precise reed placement and unencumbered vibration common with some constrictive ligatures. Two mouthpiece models are available: the Traditional and the Contemporary (see below). 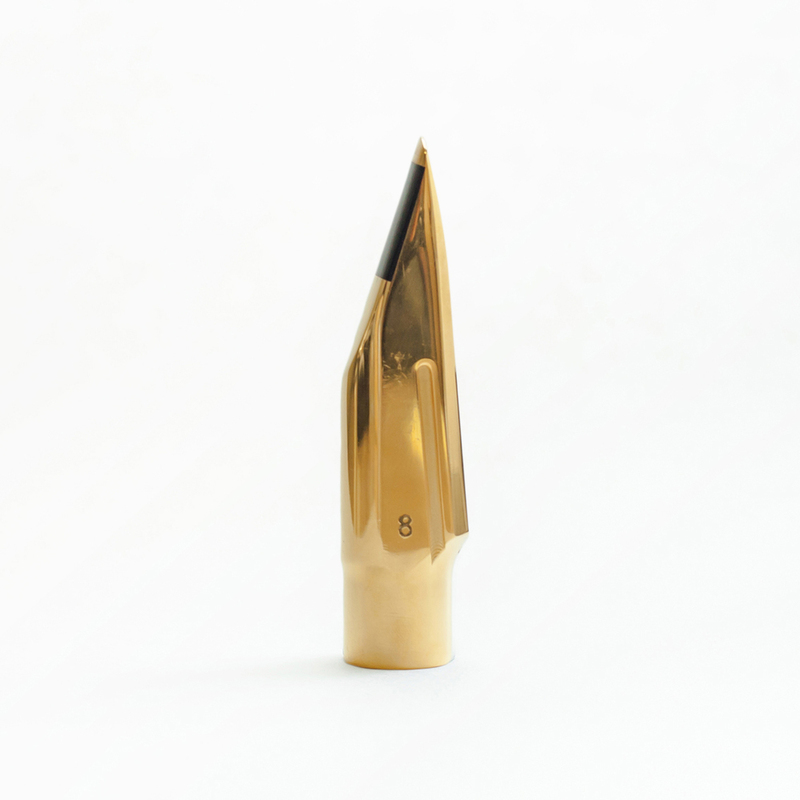 Available tip openings from #6* (.095) to #10* (.135). Facing and tip openings are modeled after Otto Links. The Contemporary model has a brighter sound. It has a similarly large chamber, and a very big bottom with a bit more edge and presence in tone. The baffle is less sloping and a bit higher than the Traditional Model. The Traditional model has a lower sloping baffle which produces a very big and dark (not dull) tone with lush sub-tones. These mouthpieces have a sound reminiscent of the famous vintage mouthpieces of the 1950s.